Dabo Swinney knew his senior class was on the cusp of greatness going into the 2018 season. The Clemson head coach challenged his group of 33 players who were honored on Senior Day to finish as the greatest class in school history. They needed 50 wins to achieve that goal. They finished with 55 and tied with Alabama’s 2018 class as the winningest senior class in college football. Ever. In fact, both of those classes are mirror images of each other. Fifty-five wins. Four losses (two to each other). Two national championships. The only major difference between the two was that Clemson won four consecutive conference titles with this group. The Crimson Tide’s class, because they didn’t appear in the 2017 SEC Championship, won three. 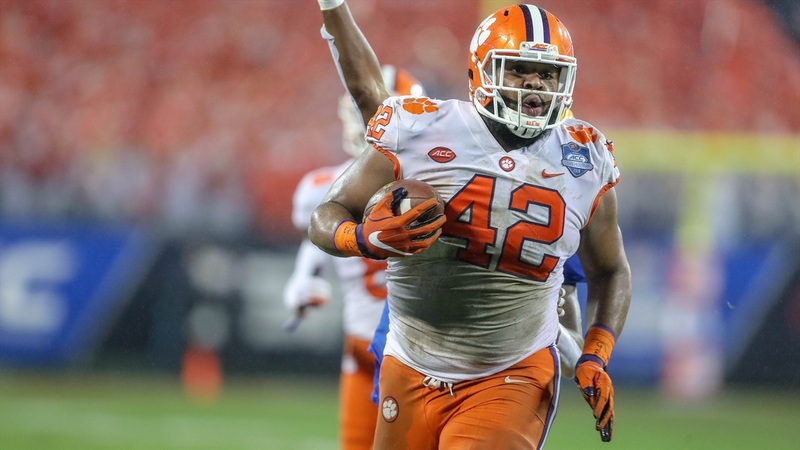 Christian Wilkins was no doubt the heart and soul of this 2018 national championship team. This time a year ago, he made the decision to return to Clemson for a final run with the rest of the defensive line. A year ago, Wilkins was sobbing in a locker room, after losing to Alabama in the Sugar Bowl, thinking his career at Clemson could be over. The junior had to big decision to make: head to the NFL or seek out redemption and finish the job. He chose the latter, and boy, did he and his fellow seniors finish. Last week, as the clock hit triple zeros in Santa Clara, Calif., the reality set in for Wilkins that his career at Clemson really was over. Except this time he was walking off the field as a national champion. As a member of the first 15-0 team in modern history. And yeah, Clemson immediately wanted to stake its claim as the best team ever. “I don't want to disrespect any of the other great teams before. But when you are the first to do something, I feel like you earn a little respect, a little attention,” Wilkins said after the national championship. Wilkins paid homage after the game and thanked the Clemson players who came before him that paved the way for the Tigers to be where they are today. It would have been easy for Wilkins and the rest of Clemson’s senior class to rest on their laurels and bask in the glory of the undefeated season. But instead, another challenge was issued. Sure Clemson’s senior class may be the best in school history. But there is the belief inside that locker room, with all the young talent that showed out in the national championship, that there’s plenty of work that is left to be done. 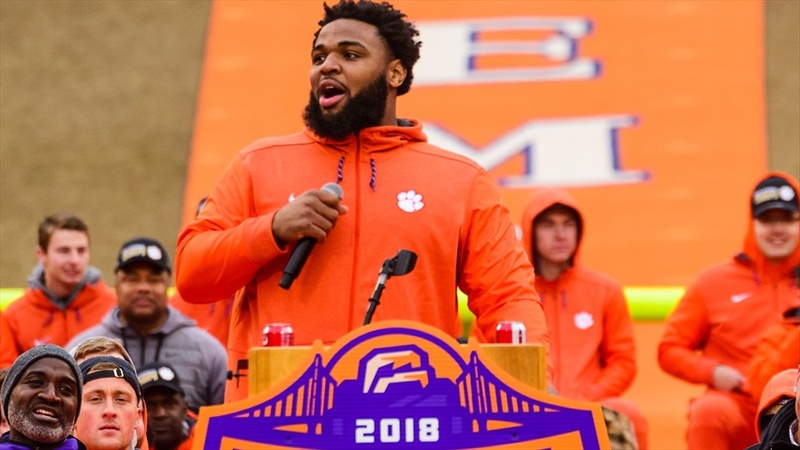 Christian Wilkins speaking during Clemson’s national championship celebration on Saturday. To win 60 consecutive games is damn near impossible. But if you’re a Clemson fan, you have to like where the mindset is at. Just as Clemson accomplished its second national title in three years, players were already looking ahead to the next goal. Most of this Clemson program, especially that senior class, is competitive by nature. We’ve written before how they naturally want to “outperform” the class that came before them. Wilkins himself said people told him he couldn’t graduate in three years, so he thought he’d try for 2.5. If Clemson’s freshman class is as competitive as it is talented, then there is no telling what could be accomplished down the road. Just take it from defensive line coach Todd Bates, who grabbed hold of freshmen Xavier Thomas and KJ Henry on the field as confetti was falling.